Legendary South African forward Frik Du Preez was an archetypal player. He loved the game beyond all else. Not even the oppressive shadow of Apartheid, which darkened the game during his career, could snuff out the candle he held for the noble sport of rugby union. Du Preez played in the Test at Headquarters in 1961, a demonstration-free match that was also, according to contemporary reports, free of anything remotely resembling exciting and expansive rugby. South Africa won the match 5-0. But as unmemorable as the game might have been for England and their fans, Du Preez certainly had every reason to remember it with fondness: it was his international debut. His first impressions of the Stadium were indelible. “For every rugby player to play at Twickenham is something special,” he recalled, “especially when, like me, you are winning your first cap. I remember the match. We beat England 5-0. That proximity of the crowd had its disadvantages as well. Du Preez, a goal-kicker of some note, found himself being slow-handclapped in a most un-Twickenham-like manner when preparing to kick the odd penalty. One contemporary commentator suggested that the 6ft 2in Du Preez was completely put off with one attempt, and he did miss a couple of kicks in each half, although his memory fails him as to exactly how many attempts at goal he had in the whole match. What mattered most to Du Preez was that he enjoyed success with one very important kick – his conversion of fellow back rower Doug Hopwood’s try shortly before half-time. In fact, according to Du Preez, he could have made an even greater contribution to the Springbok cause. He was on the brink of scoring a try when his moment of glory was rudely extinguished by the England scrum half Dickie Jeeps. It was still a pretty impressive start to an international career that spanned 11 years, in which time Du Preez, who ended up in the second row, won 38 caps. He was to appear at Twickenham again eight years later, on the Springboks’ troubled 1969-70 tour of the British Isles. The jet-lagged Boks had scarcely landed before they opened their campaign against Oxford University. 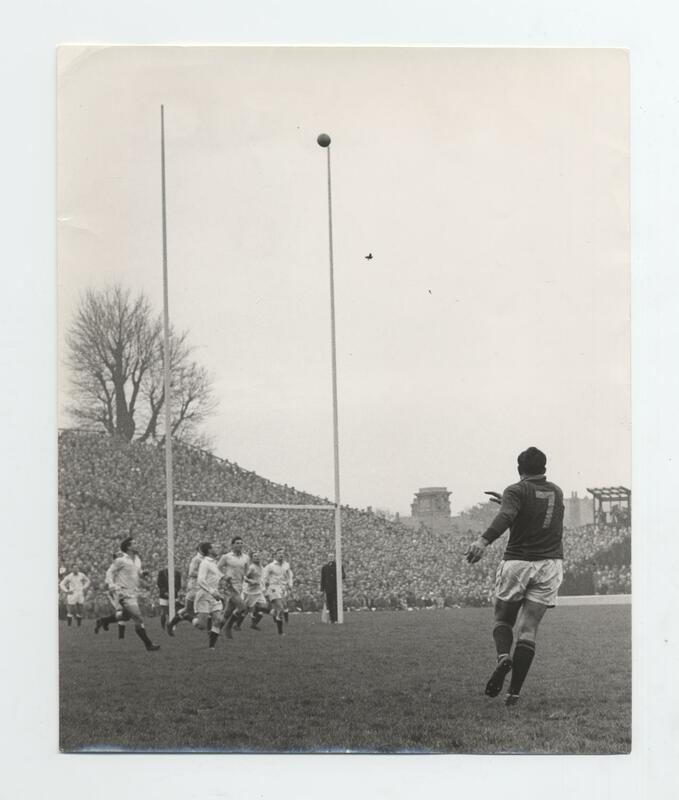 This match had been switched from Iffley Road because the police felt they would be unable to guarantee the safety of spectators and players in view of the anti-Apartheid demonstrations that had been threatened. So the University authorities and the Rugby Football Union decided to switch the fixture to Twickenham, a decision made at the last minute in the hope that it would disrupt the protestors’ plans. It was remarkable that the Dark Blues and the tourists were able to complete the match, given the presence in the ground of the spectators. Only the West Stand was opened up to the public and some of the more militant demonstrators were among these spectators. There were scuffles with police – 400 constables were on duty that day at a cost of some £4,000 to the RFU – a couple of arrests, a pitch ‘invasion’ by two protestors at half-time, but the main attempt to disrupt the game was the blowing of referees’ whistles, to try to make it difficult or even impossible for match official Mike Titcomb’s genuine article to be distinguishable from the general cacophony. Fortunately the players coped and the South African management did not try to use the bizarre playing conditions and various distracting activities as excuses for what was a shock defeat. The tourists, including Du Preez, had a far happier time on their return to the ground a fortnight or so later when they beat London Counties 22-6. He was spared the misery of the 11-8 defeat, the Springboks’ first in the short history of fixtures between these two countries, against England just before Christmas. But Du Preez was back in action on the ground when the South Africans played, and won handsomely, their swansong of the tour against the Barbarians at the end of January 1970. His final match at Twickenham came just over a year later when Du Preez was invited to partner another legendary lock, All Black Colin Meads, in the second row of the RFU President’s XV against England, who were awarding caps for this prestigious match in April 1971 as part of the RFU’s Centenary celebrations. Once more Du Preez was on the winning side – the glittering All Stars, who included such luminaries as Jo Maso (France), Dawie de Villiers (South Africa), and Meads’ New Zealand colleagues Brian Lochore and Ian Kirkpatrick. About the Author- Dai Llewellyn is a freelance sports reporter. 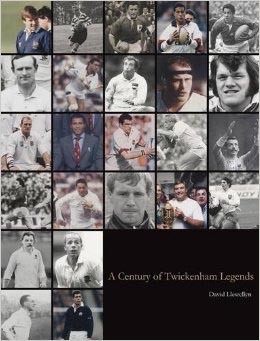 This article is an extract from his book ‘A Century of Twickenham Legends’ which is available from Amazon and through publishers Troubador.